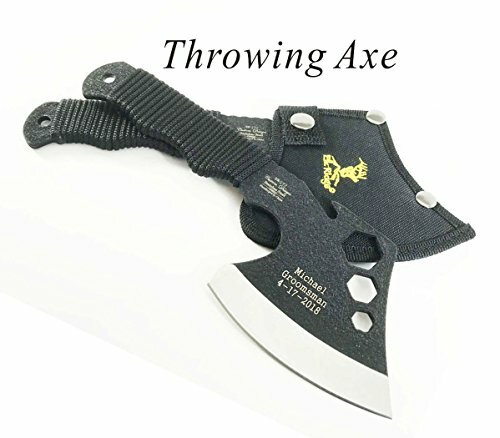 Set of 2 Bulk discount- Groomsman, Groomsmen Gift-Personalized Engraved Custom Axe for Men, for him With Free engraving . 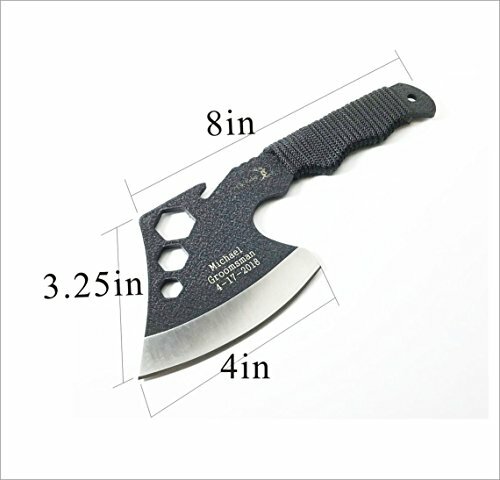 Size : Axe Blade : Width:4 in, Height: 3.25in Overall Length: 8" we do high quality engraving for free on Blade Up 3 lines engraving , each line is no more than 16 characters, you can have different names if you buy more than one . you can see the engraving sample from the large picture. Perfect gift for Wedding Groomsmen ,Groomsman , Father's Day, Birthday, Valentine's Day , Anniversary, Holidays Christmas and so on. 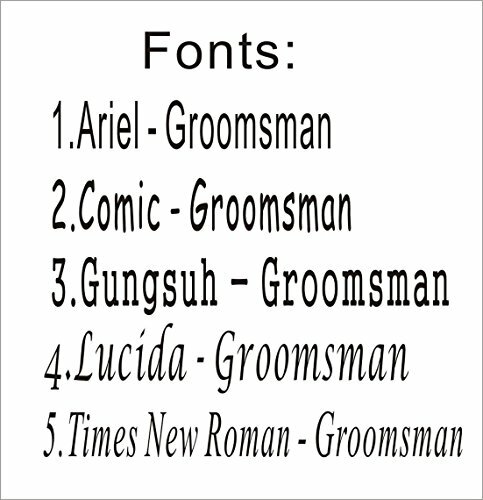 Please pick up the font from our font chart which is under the main sample picture. Then Sending your engraving instruction into the gift message section when you check out or email us after you paid . We will use our default font : times new roman, If we could not get the font from your engraving instruction . 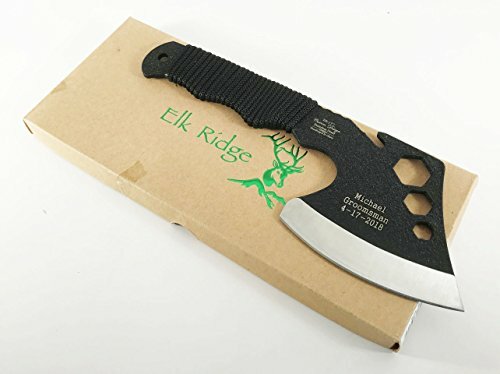 Size : Axe Blade : Width: 4 in, Height: 3.25 in Overall Length: 8"
If you have any questions about this product by e-tradeusa, contact us by completing and submitting the form below. If you are looking for a specif part number, please include it with your message.